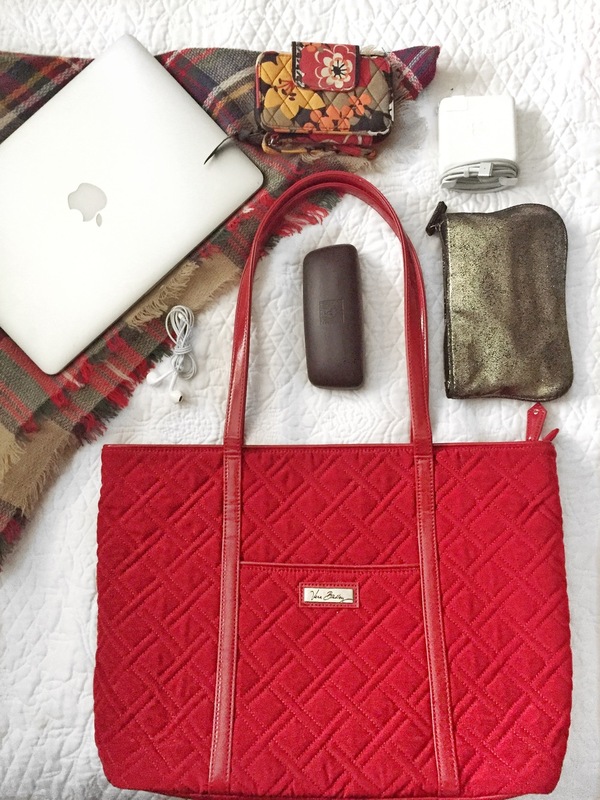 *This post has been brought to you by HerCampus and Vera Bradley. All opinions are my own. Many of you are about to start your Christmas travels because it's only 5 days away! Luckily, I don't have to travel anywhere crazy this year, but I have had to in the past. Trust me, I feel your pain if you are traveling by plane this year. There is an anatomy of a perfect carry on. I've traveled enough by plane and seen a number of bad things happen (flight delays, lost baggage, screaming children on the plane… Not like babies whose ears are popping… Like a child running up and down the aisles screaming). I like to think that over the years I've mastered it. Travel Sized Toiletries: I ALWAYS pack separate travel sized toiletries if I am checking baggage as well. I keep it in my tote so that I can have it ready to go through security. My main reason for this is because I had a friend pack all her things in her checked baggage once for a mission trip. The whole week, we were in Nicaragua and she didn't have any deodorant, toothpaste or a toothbrush. Luckily, the missionaries had some, but I'd rather skip the stress. Reading Material: Whether it be magazines, an eReader or iPad, you'll typically want some entertainment, especially on the off chance there's a flight delay. Keep yourself entertained with a book, I personally recommend one of Mindy Kaling's (here and here), she's basically my favorite, or even load some episodes of your favorite TV shows! Underwear: Seriously. I usually always pack a couple of pairs of underwear in my carry on because I've seen way too much baggage being lost. Spare yourself the trouble and pack some extra. I keep mine stashed in a pouch like the one photographed. Other items: My computer, chargers, headphones, make up, and a blanket scarf. <- This one is ingenious, because it doubles as a blanket and a fashion statement. The other major packing trick is making sure you have the best bag for the job. 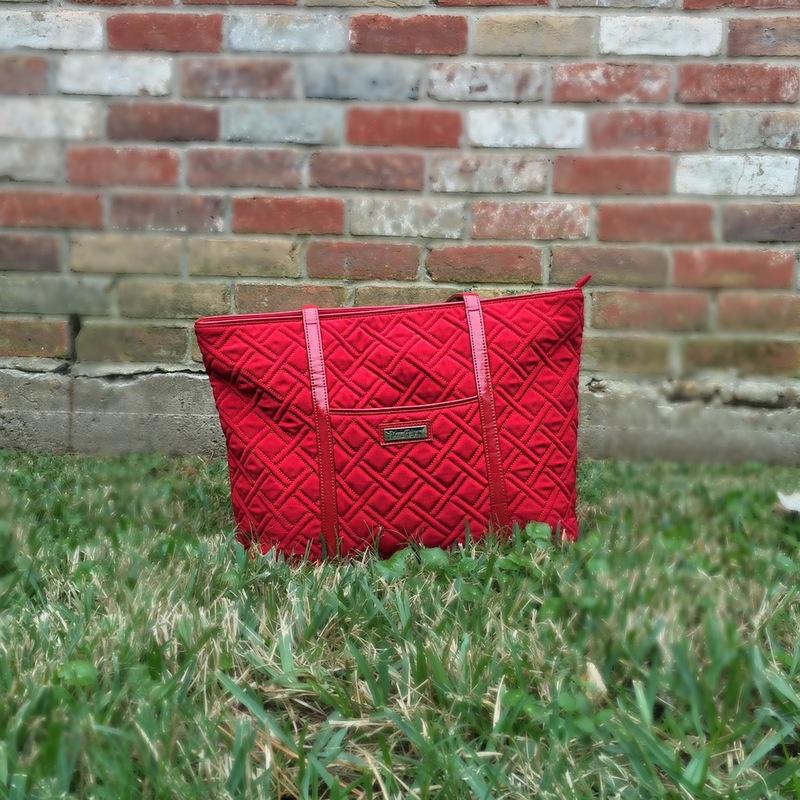 My newest addition has been my Vera Bradley Trimmed Laptop Tote in Tango Red. Vera Bradley has been one of my favorite brands for travel accessories for a while now. I currently have several make up bags, a grand traveler, and a backpack, but this tote has been my favorite addition so far! Why? 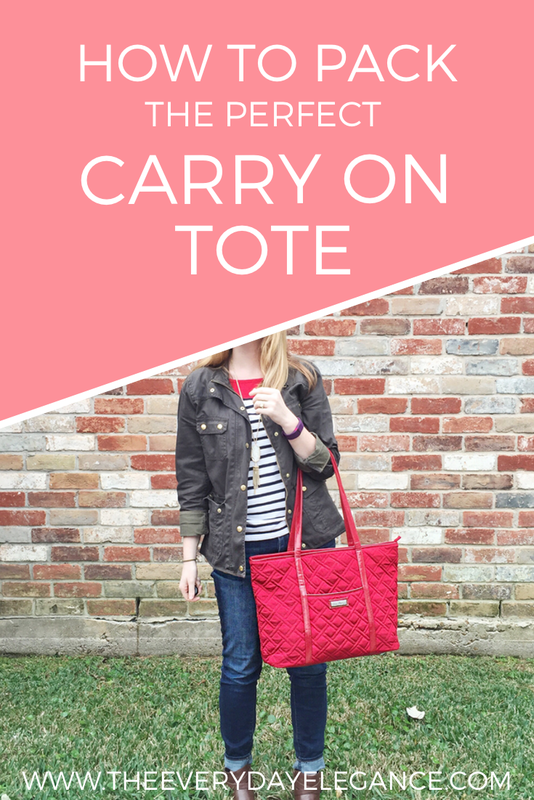 Because the tote is so versatile. In fact, I have been using it as a “work” bag for when I go and camp out at coffee shops to work on my blog. The compartment for the laptop is perfect. I have a Macbook Pro, and I like that I can fit my laptop in it's case in the pocket. If you have a larger laptop, it should fit quite nicely! In addition to the large, padded laptop space, there are three inside pockets, one open pocket on the front (for items you need to get to quickly) and a pocket with a zipper on the back. The whole tote zips up to keep everything inside nice and safe. 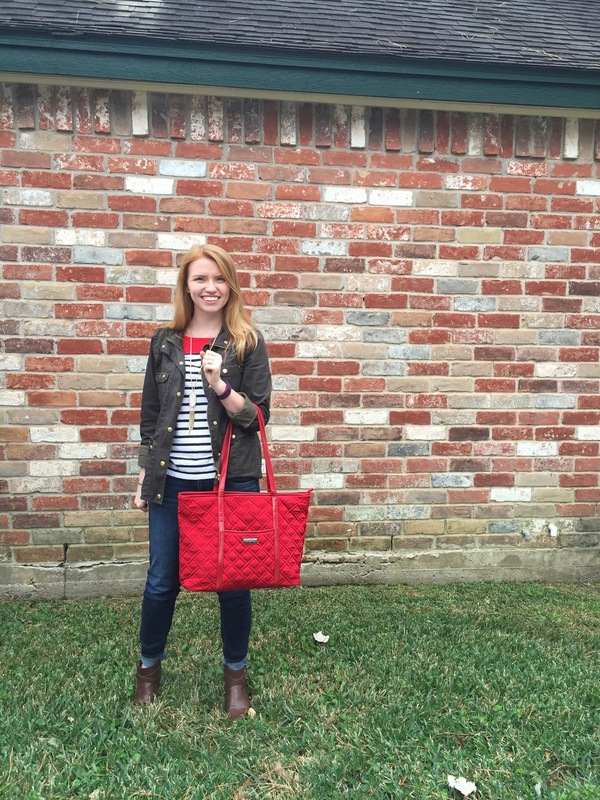 One of the other things I love about this tote is the bright, poppy red color. When I was younger, I loved all the fun prints. I still do, but sometimes it's nice to have something that's a little more neutral (if you can call bright red neutral…). 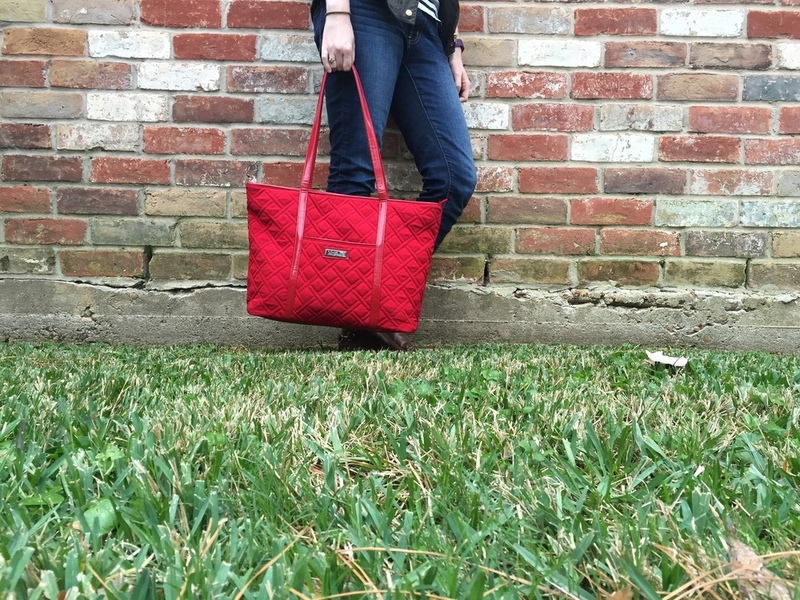 I love that this bag is more of a “grown up” bag, and it's got the space, functionality, and style to prove it! Are you traveling for this holiday season? If so, where? How are you liking Vera Bradley's new prints?